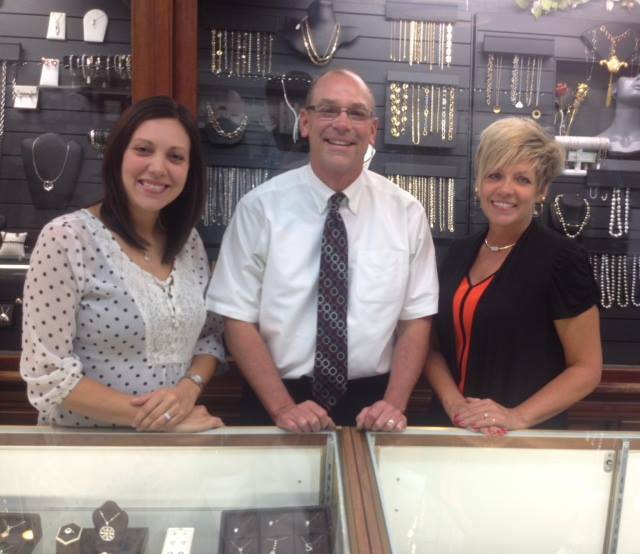 ​Scott Koenig is the third generation of Don Jenkins Jewelers. He is committed to uphold the quality reputation his grandfather established. Scott is a certified GIA Gemologist who can help customers select the right diamond and style that is appropriate and affordable. One that displays graceful elegance that will last a lifetime! Together with our friendly, professional personnel we make customer satisfaction our number one goal. 1926 marked the beginning of Don Jenkins in downtown Lima and has established a reputation for the finest rings, watches , precious stones, diamonds and fine jewelry. Hard work, values and ethics have been the cornerstone of Don Jenkins Jeweler through the years. For three generations, Don Jenkins Jeweler has been family owned and operated and are both happy and proud to be a part of so many family traditions in the Lima area. Now located at 117 N. Elizabeth Street, we look forward to our 9th decade of service to the Lima community. Scott Koenig, grandson, is the third generation of Don Jenkins Jeweler who has opted to continue the quality traditions of the family business. Scott is a certified GIA gemologist who can help customers select the right diamond that is appropriate for you that you will be happy and proud to own for years to come. For all your jewelry and gift selections, visit Don Jenkins Jewelers, in downtown Lima. "Our future will hold continuing efforts to serve our customers in the best possible manner," Scott said.